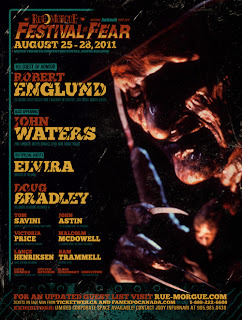 Rue Morgue, here we come! That's right kiddies, get your travelling shoes on. 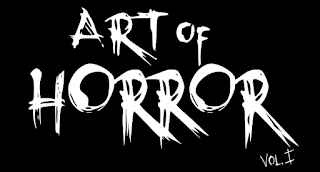 Once again it's time for Ottawa Horror to hit the road and bring you all the latest and greatest from Rue Morgues Festival of Fear and the Fan Expo. This year, the ZombieKing and myself have a booth in Artist Alley (A230-P), so if you're attending the show, don't be shy and drop in - especially if you're one of our readers in TO. We'll have all sorts of goodies to buy, including some new stuff you haven't seen before. Plus all our usual correspondants will be hitting the floor, to get you the inside scoop on the Fest. 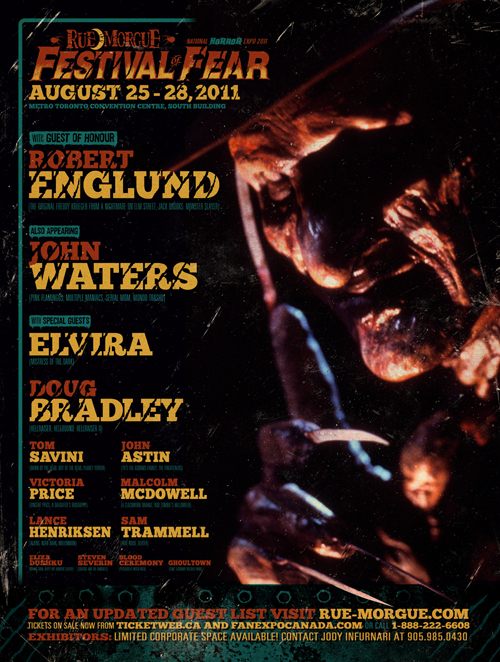 Me, I'm looking forward to seeing the incomparable Doug Bradley... aka Pinhead, and of course Freddy himself, Robert Englund.